Pretty Me Apr 23 2019 6:42 am I'm so happy with his character in a poem a day. I hope to see him in the new drama!!! Love you ?? divethereal Aug 05 2018 1:53 pm I think he's way underrated actor as well as his kdramas namely, A Poem A Day and Are You Human Too. He's capable of various role. He can be a poker faced almost cold hearted but sweet doctor like his role in A Poem A Day or a shady crazy prosecutor as in his role in Secret Forest. I love him in his 2018 roles. I would love to see him in a Rom-Com kdrama. More projects for him please! Neha Mariah Jul 31 2018 3:28 am I love him soooo much. His appearance in Are You Human Too? and A Poem A Day was just speechless. He is an actor who gives me amazing vibes!!!! Hoping to see him in more dramas. Keep supporting Lee Joon Hyuk <3. Love You Oppa!!!!!!! Sara Jul 29 2018 12:59 am He looks very a gentleman in Human Too.His personality really is quite impressive, attractive n charming. Nana Jul 14 2018 9:01 am I like him in Are You Human?. There is something on him that I cannot explain. Hope to see him in more kdrama. Pishang Jul 13 2018 12:38 am He's weirdly charming in Are You Human? Started having crush on him! Mariel Jul 08 2018 8:38 am Great role and good acting in Are You Human Too. And handsome!! Himsa Jun 16 2018 3:33 am He slayed it in secret forest/stranger! shya Jun 09 2018 3:13 pm He is excellent actor and extremely handsome ..I wish to see him many roles in upcoming dramas. he deserves lot of roles in many dramas. very charming personality. I love him a lot in the new drama Are you human. chai May 29 2018 11:59 pm thank you a poem a day for introducing this guy to me, new addition to list :) i'm about to binge-watch some of your previous works. More projects to come oppa! Mari May 09 2018 9:04 pm This guy is such a great actor. He is extremely swoon worthy and has definitely caught my attention. I can't get over how handsome and manly he is, but he can still pull off being cute. I'll be looking forward to seeing him in more projects. divina pillarina Mar 04 2018 8:18 pm he's a good actor waching equator man i saw him first and other drama great actor. he can be a lead actor or second lead. New Guy Jan 12 2018 1:55 pm Happy to hear his recent news of him getting another lead role. He is an awesome actor and can definitely hold his own against other lead actors. I hope he can become the lead in many more dramas to come. Min Yeong Nov 27 2017 7:34 am Are you human too drama will be aired only in next March. I can't wait to see it! Love you oppa! ^^ Fighting! Rony Oct 17 2017 5:32 pm I also saw him first in City Hunter and then I saw him in Secret Forest. He's so handsome and cute really! I decided to watch his other dramas as well. Equator Man for example, it was a really good drama and he played a bad guy there but I loved him. And now I am waiting for his new drama, Are you human too. It will be interesting! ? Bella Oct 06 2017 6:40 am He is really good at acting and he is very cute. I hope he will be happy. TD ZARA Jul 20 2017 2:49 am Handsome and look alike Seungri BigBang (KPOP). Gabby Jun 28 2017 9:16 pm He is an outstanding actor. I am an american and have felt in-love with his movies and his talent. He is an incredible actor. God bless you Lee Joon-Hyuk. Jangdong Mar 28 2017 12:26 am He's a great actor.. First saw him in CityHunter. Hope he will succees in his next project. Fighting!! Grace Feb 19 2017 3:58 pm I became a fan after I saw him at Naked Fireman. OMG! Why have I only seen him now? LOL He looks so cool plus good acting. Tina Jan 25 2017 11:03 pm Oh my, i love him in city hunter, and recently in naked fireman. He's so good, and cute too ^^. I can't wait for his new drama secret forest, wonder what role will he play, the bad or good guy. Hahaha, but i'm happy i can see him again bcos his recent drama had 4 eps only. Se Na Jan 23 2017 6:37 pm Omgg just watched naked fireman i thought he's going to kill me such a great Actor I couldn't stop screaming and pausing the drama but sad that I had to see him this short (I mean why 4 Episodes when it could be 16 or more..) this drama was great even in City Hunter was he eye catchend I think I need more dramas where he plays the same innocent and goodlooking boy like naked fireman!! Oppa fighting you're the best !! ? Sylvia Casarez Oct 18 2016 7:56 pm An excellent actor. Handsome as well. Watching Man From the Equator. Great drama. Stressful for me because u get into. Wish u cont success. Stay humble n loving. precious Oct 05 2016 2:43 pm After Watching the heirs had to search for more of your movies, i enjoyed the movies its really kool. Hope see more of your movies. Kbas Sep 14 2015 7:38 am I have been enjoying the unique and fully realized characters in Bluebird's House. It is difficult to make such a self contained character like Ji Wan connect with viewers, yet I think you have succeeded. After watching your supporting role in Star's Lover, I am impressed with your range. Yosita Aug 01 2015 3:46 pm oppa sarange shuage I love you so much, you are so handsome. I didnt like the fact that you died in City Hunter. Even if Lee Min Ho is handsome, you are even cuter. chathuranga Jul 20 2015 6:05 am i like you very much!!!!!!!!! tp Oct 12 2014 8:56 am Even though I didn't really like your character in "man from the equator" but I've gotta admit and accept that you did a superb performance. Congrats! Katie Aug 25 2014 6:54 am Saranghae oppa.You look gorgeous in City Hunter.Hope you will bea good actor. megan Aug 04 2014 10:19 am Lee Juk Hyuk. I watched City Hunter because of you. You impressed me so much in this drama. I like your looks. You are my favorite Korean actor. I hope to see you as a lead actor in a drama or movie. Looking forward to seeing you in My Spring Day. Saranghae Lee Juk Hyuk. serena Aug 01 2014 3:47 am Lee joon Hyuk Shii. I like you very much when I first you in City Hunter. You have a very a natural way of acting that caught my attention. 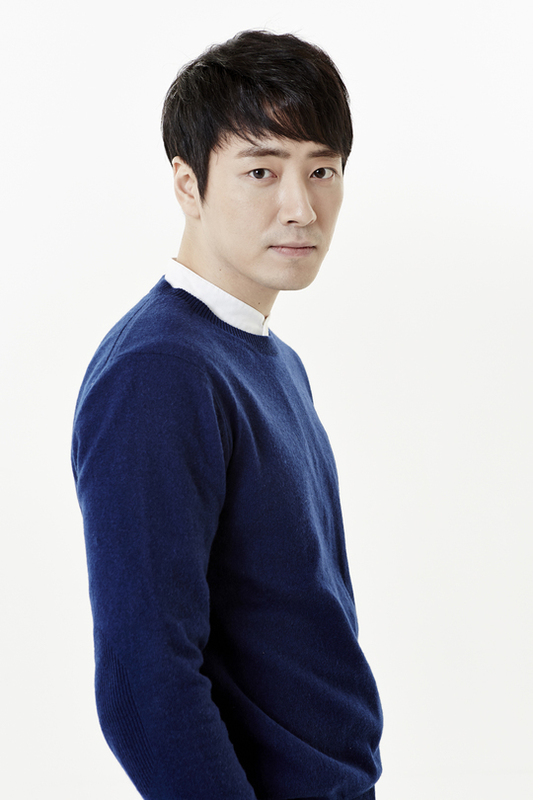 Joon Hyuk Shii. you have good looks tôo. I lôok forward to see you as a lead in a drama. I am so excited to watch your come back project. Luv U.
serena Aug 01 2014 3:04 am Lee Joon Hyuk Shii, I like you very much when I first watched City Hunter. You have a very natural way of acting and you have got the a looks. I hope you would take a lead role in a drama but I look forward to your comeback project My Spring Day. but, oppa! Aren't you're lonely without a girlfriend? go get some woman to love!! I will ship you with anyone as long as you're happy and love her!! LJH Mar 12 2014 1:28 pm oppaaaaa i miss you<3 can't wait for you to discharge this July(if im not mistaken). fighting oppa! i will wait for you with another amazing drama/movies! saranghae!! msPeachy Jul 01 2013 5:56 pm He's one of the versatile Korean actors I've seen. I liked him in Star's Lover and City Hunter. LAPM Jan 10 2013 2:57 pm Would definitely recommend this to anyone who likes suprising heart stopping sleepers. The addiction starts as one of those - "no way am I going to get hooked". I wandered here and there, started the first episode as I was checking on its logistics (LIVE vs. PRE FILMED.. as I prefer the latter more so). Was not especially taken before I ventured back after screening others in the intermittent 3 weeks. With Hulu and Dramafever, you have the whole kibby-kaboodle to tap for quality. Three episodes in, the sneaky writer (s) ever so cleverly lay that cerebral trap. You pop up, forward and muse out loud, "WTHades just happened?!" And you are racing hard through episodes to get to the resolute conclusion! Plenty of twists and bends in the tale, and WELCOMED departures from the often fomulaic plots to KDramas. Rather than 10 episdodes before a confrontation, the flow is so fluid that you both welcome it and are intrigued by the minds behind the writing. LOL! It's always awesome to see the breaks from the humdrum. Overt horror films sell their ware and gore and we're honky dory for it. This tale will leave you a little light headed and in particular, violated. Haven't reached the monumental death of the show just yet. If you see enough KDramas, they are like Danielle Steele characters - someone and no matter how big the character - will die. So that shouldn't be the shocker. What can be is just WHEN <--- which if writers don't plan right can make or break a story. (i.e., Moo Jin of Warrior Gye Baek). Happy watching. TheValeria71 Nov 10 2012 1:37 pm imi place acest actor, sper sa obtina cat mai multe roluri principale, care sper sase termine cu bine.I like this actor ,i hope too see in mach more lieding rols, and i hope everything is happy and. Gasenadi Oct 09 2012 7:12 pm Back to this very versatile actor. He was unforgettable as the prosecutor in my very first kdrama, City Hunter. Since then he's been a familliar face in several dramas, my favorite of his being, thus far, City Hall as the "brother/spy". I actually wanted to know more about that character. Am now watching I Am Legend and hope to witness his acting prowess as the romantic lead. May he get juicier and juicier roles. Gasenadi Oct 09 2012 7:42 am Agree 100% with Anna Moshita. Suggestion: I don't read ANY comments anywhere until I've seen the drama for myself, for that same reason. Some people get their kicks from spoiling and they're not going to change. I don't give them the satisfaction by not reading until I know what's happened. Amy kaene Jun 11 2012 3:28 pm You are a very good actor. Hope you continue succeding in your career and please dont waste your life away like most of the other stars do. madhatter Jun 08 2012 9:54 am stop spoiling his movie series for others in the comments! seriously! we came here to find out about him as an actor, not series plots!! you idiots! rj Apr 07 2012 4:46 am i didn't know that he was also the one in "The Legend"! I don't like him in "The Legend" but in "City Hunter" he was sooooooooooooooooo handsome! shakespear Jan 20 2012 7:27 am I like this guy a very good actor.. Watching and have known him in City Hunter a thumbs up! Very great and strong performance deserves an award in here..
cartriwa501 Jan 12 2012 1:02 am lee joon hyuk is the best! in City Hunter! you're freaking hot... prosecutor kim young joo always in my heart! ONE MORE, SO YOU CAN SING WELL,,,OH MY!!! WHAT ELSE CAN YOU ASK FOR! kzinsky Dec 22 2011 9:26 am heh?? he died ?? che...i'm not see d drama yet... :P poor me..
sahara Dec 06 2011 11:34 pm I think he will win award for his role in city hunter..he was execellent..
ainSH Nov 25 2011 9:26 pm DAMN HOT OPPA... really love ur style and ur look.. :D. FIGHTING OPPA.!!! jun hyuk my love Sep 23 2011 12:38 am jun hyuk:my sweat heart,my honey,my love forever! Jessica Aug 07 2011 4:20 pm omg soo love him!! hes sooo hot! i want to see his penisss sooo badllyy!! TJ Aussie Jul 26 2011 7:42 am Thanks to Clai. I'm listening to "YOU" by Lee Joon Hyuk in I'm Legend on youtube now. Yes, he has a beautiful voice and he also a fine actor in City Hunter and in City Hall. Hope to see him more in leading role/actor. Saya Jul 17 2011 5:16 pm I'm like you in city hunter ^^" the face you..is best for me fighting OPAA ^_^"
jhoon Jul 13 2011 2:51 am Good luck to u,Brother. jhoon Jul 13 2011 2:50 am hi brother!Good luck to you. CiJzaM Jul 09 2011 6:20 pm I fall inlove with him…. clai Jun 22 2011 10:49 pm he is so handsome,i like him so much..he is really good in singing,he has a beautiful voice.i like his song entitled "YOU" in the korean novela I AM LEGEND. zhia_aala Jun 05 2011 9:53 pm first time met him "three brother"....quite annoyed character.........seem like no back bone, always yes to wife and mother...... he brings out the role beautifully......now again meet him in "city hunter".......arrogant yet determination......he's good!!!! hope to see him more in different role because I know he can bring it out well!!!!! !